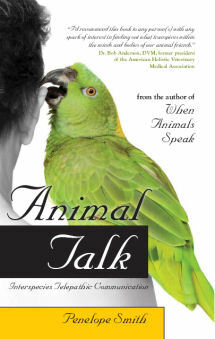 Successful animal communication consultations are characterized by positive attitude and behavior changes in animals and their people about situations that have been brought up to handle. Getting to the root of problems through telepathic communication and understanding of the animal’s and human’s viewpoints rather than just giving advice based on past experience or others’ conclusions about animal behavior is the key. Here are a few examples. A woman called me for help because her cat Misha repeatedly peed on the bed. This started after the woman broke up with her boyfriend and moved from a house where the cat could go outdoors and had more human company to a high rise apartment where cats were not even allowed. The apartment was sterile and the cat spent most of the day alone. Can We Listen to Animal Conversations? A woman had a troupe of Amazon parrots who loved to perform for people. One evening she was holding her timid parrot, Kodiak, while watching a television program on dolphins, complete with recordings of them talking. All her parrots perked up and seemed to be listening, especially Kodiak. He became quite relaxed while the dolphins talked and seemed different when she put him back in his cage. When she held him again while watching television, he calmly walked over to her left arm and sat on it for several minutes. She was astonished because he had been terrified of and unable to perch on her left arm. She felt that what the dolphins had said affected all the birds in the room. How she wished she could have understood what it was! 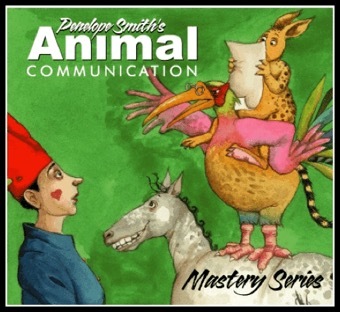 I’ve often been asked if we can eavesdrop on animal conversations to hear what they are communicating to each other. This certainly would have been useful to the woman with the Amazon parrots.